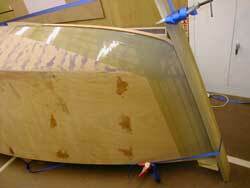 Having removed all the steamed strips the next job is to parcel tape the hull. 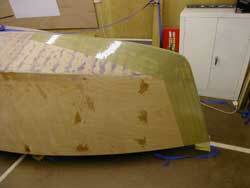 Then the first strip is layed down, stapled at it's ends to the hull. 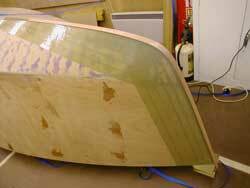 Knock up the usual Epoxy mix and bond on the second strip. etc.. etc..